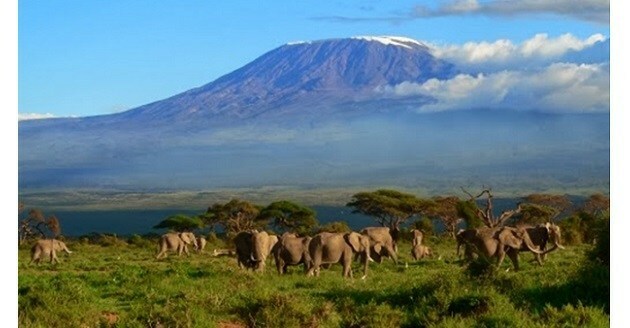 Tanzania is a country in Africa with several tourist attractions, Mount Kilimanjaro, the highest point in Africa. Popular Hollywood films shot in Tanzania include Hatari, that was shot on location near Arusha National Park in Tanzania. “Congo” (movie about gorillas) has scenes that were filmed at Mwanza Airport in Tanzania. Filming in Tanzania is expensive, compared to other African countries like Kenya, but the country offers a different landscape and has conserved its wildlife (and the lifestyle of the tribal residents) better. Besides, filming in Tanzania requires permissions and permits, which can be a laborious process (without the help of professionals). Popular locations for filming in TANZANIA: Zanzibar, House of Wonders, Stone Town, Dar es Salaam. Read: Hrithik Roshan holidays with sons in Tanzania for a quick family holiday. Just under the equator lies the world’s highest free-standing volcano, with ice capped peaks. Its also called the ‘Roof of Africa’. Ngorongoro is a UNESCO World Heritage Site and considered to be one among the Eight Wonders of the World and one of the Seven African Natural Wonders. Ngorongoro Conservation Area (NCAA) is a protected area in the whole of Africa, done to promote the conservation of natural resources which include wildlife, to safeguard the interests of the Maasai indigenous residents, and also to promote tourism. NCAA attracts more than half a million tourists every year. Dhoom 3 Did a Dark Knight in Chicago, Almost!